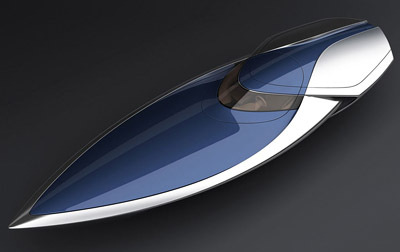 The Bugatti Veyron Sang Bleu Speedboat is a conceptual design created by Ben Walsh, a graduate of the prestigious Royal College of Art in London, and the designer responsible for the Cadillac Converj concept's interior. 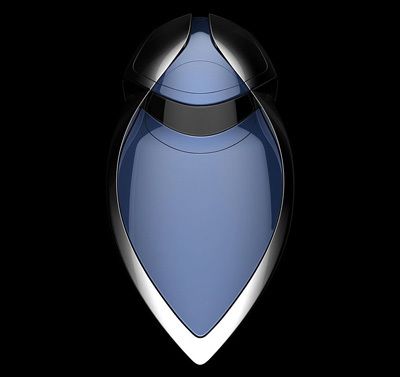 Currently he is employed at PSA Peugeot Citroen as an automotive interior designer. 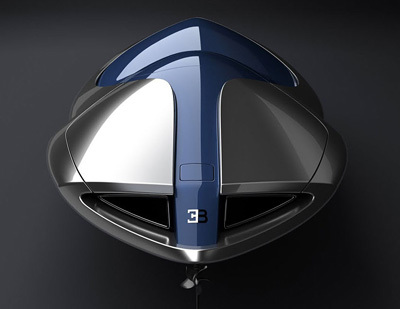 The Bugatti Veyron Sang Bleu Speedboat is a 30-foot (9.1 meter) vessel which has an incredibly smooth and clean profile. 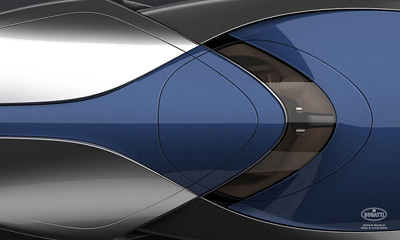 The chrome and metallic blue color scheme is directly inspired by the paintwork of the Veyron Sang Bleu model - obviously. The hull is formed from a blend of carbon fiber and aluminium. 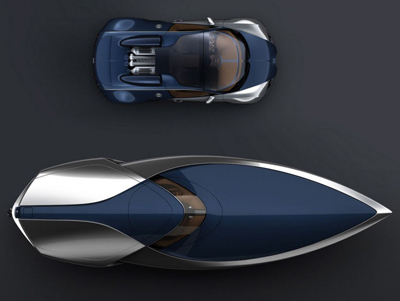 Powering the Bugatti Veyron Sang Bleu Speedboat concept is a modified-for-marine-use version of the Veyron's quad-turbo W16 engine with 1,000 horsepower.